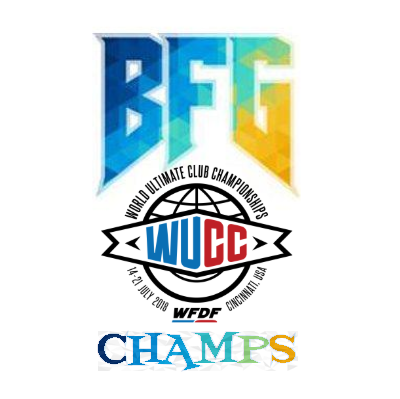 The WFDF World Ultimate Club championships concluded on Saturday and US-based club teams swept gold in every division (again). Over 120 club ultimate teams competed at this international tournament. 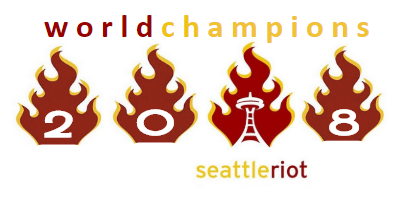 Seattle Riot (7) won 15-8 [8-4 half] over Medellin Revolution (5) to win back-to-back Club Worlds titles. Riot did not originally qualify for this tournament based on their finish at 2017 USA Ultimate Club Nationals. San Francisco Revolver (1) won their 3rd consecutive WUCC title with a 15-13 win [8-7 half] over Sydney Colony (4). Previous championships by Revolver were won in 2010 and 2014. Seattle BFG (3) won 15-11 [8-6 half] over Boston Slow White (9) to win their 1st Club Worlds title. BFG went (5-0) in pool play with a +46 goal differential, and would win 5 more games in the elimination brackets to win the championship. The next World Ultimate Club Championship will occur in 2022, though the location has yet to be determined.